A former Khat addict claimed that the effects of khat are so severe that it makes users become easy prey for Al-Shabaab recruiters; describing a process of slow deterioration of self-worth that eventually delivers vulnerable addicts into the hands of ready and waiting recruiters lurking around mafrishes (Khat cafes). This view was further sensationalized and advanced by a Bristol based Somali NGO leader who on BBC Radio Bristol claimed that he had evidence, proving that Al- Shabaab was actively recruiting similar lost young souls in Bristol. The existence of evidence for both of these claims has not being made public – if they actually exist – by police and, in any case, both men ought to have gone to the authorities first to disclose it before approaching the media. Because going to the media first could have easily driven dangerous terrorists to underground and endangered civilian lives. (BSMG — L. Obsiye) I was thoroughly disappointed. I had gone to a mafrish (Khat café) with a friend and had not met one, not even one, Al-Shabaab recruiter. Perhaps they were there staring at me with their red blood shot eyes while casually sitting, legs stretched out chewing their bitter khat sticks like sheep eating grass in a field. Maybe they were not interested in me because I was wearing jeans or I had recently shaven my bushy beard not knowing of the Huffington Post article I was going to come across shortly afterwards. Or maybe it was just that; having seen my beard first before I had it cut, Al-Shabaab recruiters in Bristol thought my hair was not thick enough anyway to give the mean pose to the watching world as a potential leader ranting on things I understood very little about . Whatever it was, because they are a registered terrorist organisation and have no fixed address in the UK, I am unable to get feedback. Can I still take Al-Shabaab to an Employment tribunal for potential discrimination in their recruitment policies in their absence anyway? This is a question I would like to put to those who seem to be peddling this obsession with Al-Shabaab in British towns with a large Somali population. According to an article in the Huffington Post, a prominent British Somali anti Khat activist who himself was once an addict claims that the effects of khat are so severe that it makes users become easy prey for Al-Shabaab recruiters. Abukar Awale appears to describe a process of slow deterioration of self-worth that eventually delivers vulnerable addicts into the hands of ready and waiting recruiters lurking around mafrishes. Speaking of young Somali khat users and addicts, Mr. Awale said, “There is paranoia that grows inside them. They think everyone is out to get them. They develop a lot of anger and hate towards police and the British public.” This view was further sensationalized and advanced by a Bristol based Somali NGO leader who on BBC Radio Bristol claimed that he had evidence, proving that Al- Shabaab was actively recruiting similar lost young souls in Bristol. The existence of evidence for both of these claims has not being made public if they actually exist by police and, in any case, both men ought to have gone to the authorities first to disclose it before approaching the media. Because going to the media first could have easily driven dangerous terrorist to underground and endangered civilian lives. Terrorism is a grave crime against innocent people and all terrorist after a fair trial ought to be subject to custodial sentences fitting their crimes to protect the public from further loss and pain. Terrorists destroy communities and turn lifelong neighbours against each other in a multicultural society like that of Great Britain and as such they and their recruiters should never be tolerated nor welcomed by any group. The Somali community has become a real suspect community today because they are Muslims, from a war torn country and are not properly integrated into British society. It is very easy to point the finger at them and scrutinise their daily actions with impunity because of the lack of leadership within the community, the necessary support structure and political representation that would make this inconceivable in other more established communities. Al-Shabaab and the Somali community in Britain are being forced into an arranged marriage by the right wing press and opportunists within their own communities, who one angry Bristol resident claimed were “vultures looking for the next pay day from the government.” Mr. Abukar’s claims were, at the time of going to the press, unsubstantiated and even had the police had intelligence it appears as though no action had been taken at the time. Mr. Abukar is right to be concerned about khat, but just because he became an addict it does not mean everybody else will. Some people just enjoy it a few times a month to catch up with their friends same as the majority of people enjoy a pint of beer after work or in the evenings and weekends. If it was to become totally illegal, would people stop chewing it? No, Holland and the USA are a great example where khat use is still prevalent and comes at a higher cost to users and society as a whole as a result of the ban. 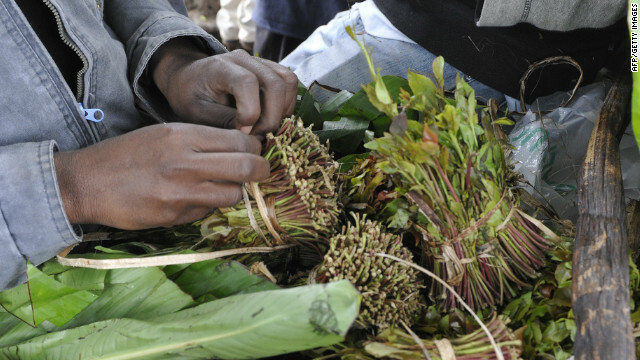 Leaving the issue of khat legality aside, it is easy to dwell on and not find a reasonable answer to point to how khat addicts would easily fall into the hands of those that chastise them regularly and beat and maim their counterparts in Somalia. The fact that someone like Abukar is taken seriously by any media organisation is itself alarming let alone the HuffingtonPost which is desperately trying to shrug of a red top image with more serious news reporting. Who does he represent? Having been a former addict, does it make one a spokesman and an expert on the topic? Abukar spoke a great amount of what can only be described conservatively as unsubstantiated nonsense he properly thought up when he was building castles in the sky having probably had too much khat to eat himself in his years as an addict. What happened to the editorial oversight and the commitment to responsible journalism? It would seem that the new, poorer ethnic communities in Britain such as those from Eastern Europe and Somalia can be represented in any way and by anyone (preferably with an accent that is easy to understand) in the mainstream media, because media organisations know that they will achieve their goal of more circulation through inaccurate sensationalism with absolutely no one to rebut it. All these communities will do (once they realise its impact) is retreat back into their comfort zones and hide away. They cannot afford Max Clifford or the high powered media lawyers that defend the celebrities so there is very little risk in misrepresenting them. Many Somalis living in the developed western nations are sick of the corrupt, inept and tribal governments of the different regions of Somalia. Many take a special disliking to the leaders of the Transitional Federal Government’s leaders as they see them as the roadblock to genuine peace, prosperity and progress. Some at the beginning may even have had harboured some sympathy for Al-Shabaab, because they elevated themselves above the old destructive tribal allegiances and appeared to fight to unify Somalia under Sharia law. However, when news and evidence of their beheadings, torture and murders of innocent civilians surfaced, even the most sympathetic of Somali’s in the west arguably lost interest in the group’s ambitions and saw them for what they really are: A band of Illiterate, misinformed thugs who are even worse than the suspected thieves in the Government they wanted to replace. The Somali community in Britain is desperately trying to find its feet and navigate through a hierarchical class ridden system with very little help from local and national government. It is a community that has been labelled as invisible, underachieving, and socially and politically and economically excluded. Although to some this maybe the perfect environment for recruiters to find rich disgruntled pickings, it is not. The Somali community is sick of Al-Shabaab and is a victim of them and their heinous acts physically, emotionally and now politically in their new homes in the developed world. What makes life even harder for the Somali community is that in their difficult journey to integration obstacles have been placed in their path by those that are tasked with helping them integrate and representing them in British society. If these groups were doing their jobs properly, they would have seen a community that is proud to be living in Britain and in most cases been British themselves, while at the same time worrying about and supporting their remaining relatives back home in Somalia. Can these people really be a suspect community? (The Huffington Post, 04 April 2012) British Khat Cafes: The Next Battleground In Fight Against Terror? (The Independent, 30 June 2012) Khat fight: Harmless recreational drug or a recruitment tool for terrorists?